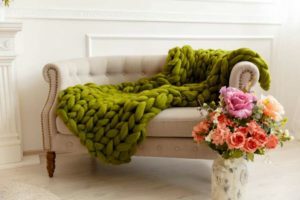 Whether you use it to keep warm or to accent the living room sofa, chunky knit throws are back this season as one of the most sought-after ways to get cozy this fall. Etsy is ready for the throw obsession with overflowing handmade, chunky knit options. They range from smaller and lightweight to giant and puffy, in all the trending fall colors like ivory, grey and pumpkin orange. Indoor plants are continuing to be super popular, even as the weather gets cooler. Worried you have a brown thumb? Fear no more, there are plenty of easy-to-maintain indoor plants so you too can have yourself a hipster-chic abode. 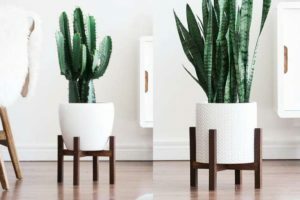 Try Aloe Vera, which only needs to be watered every two weeks, Snake Plant a waxy plant known for its ability to survive with little attention (and looks dazzling in colorful pots), or a Cast Iron Plant, a more dramatic looking, and highly forgiving plant, that can survive in most environments and temperature changes. 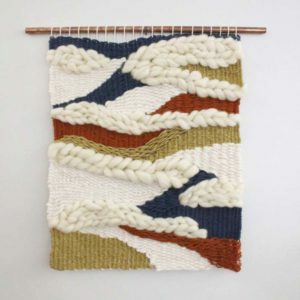 Woven wall hangings are the new kind of decorative art that is adorning the walls of many homes this season. While cotton and wool weaved just like a blanket bring a warm feeling to the room, the hanging tassels, dyes and beautiful beading make it a stylish piece as well. 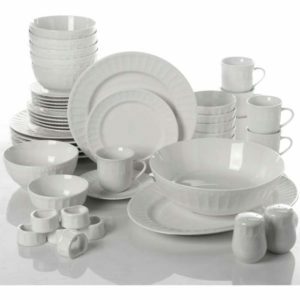 Single color dishware is out. On the shelves of most home stores these days, if the plate has gold triangles the “matching” cups may have gold circles. Mixing up the style and design, while sticking to a color scheme, is popular right now. Say it ain’t so! 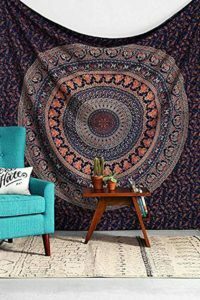 As someone has been meaning to get a wall tapestry, to find out that this bohemian trend is on its way out is a little disappointing. Even though the seasons are changing into a colorful flurry outside, that doesn’t mean your walls need to sit it out. Rather than sticking to the white walls, that will just drop the temperature in your house further, paint your walls to reflect the change in yourself and embrace the warm, rich shades of brown, black, green and/or blush. Nothing brings life into a home like color.